You are gorgeous and these letters are such a good idea! Has anyone ever told you you kind of look like Jessica Alba. From different angles I notice it much more! this is my favorite post of yours so far. so gorgeous, i can't get enough of it! you look positively lovely. You are definitely rocking that outfit! So love that outfit! 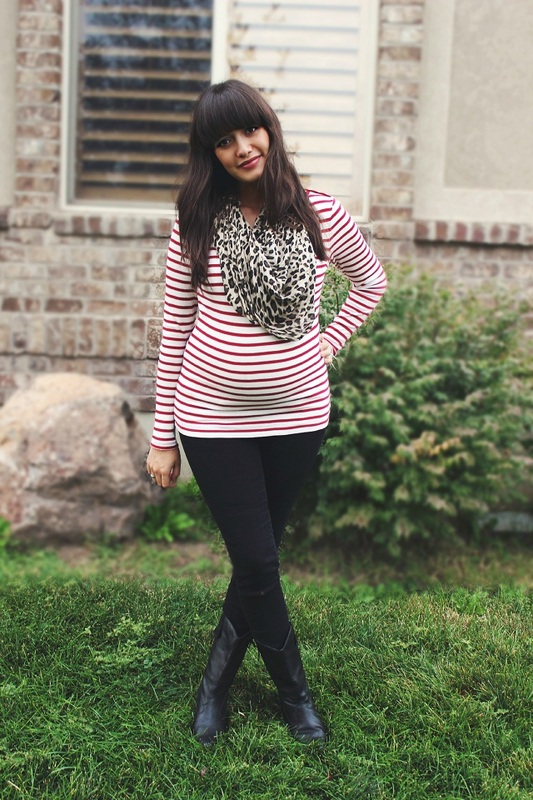 You look to die for all cute and pregnant! so sweet, and you look so cute, miss mommy to be! Sweetie you look gorgeous in this simple yet stylish outfit!! you're looking fabulous! 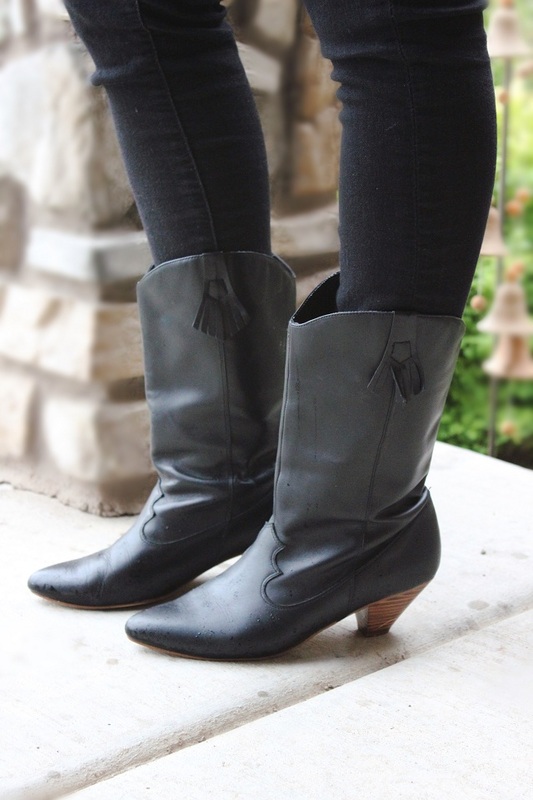 i so wish the weather was cool enough to throw on a long sleeve and some boots. i'm struggling through this heat at 29 weeks in tanks and skirts. You look beautiful. I am envious of your gorgeous round belly. 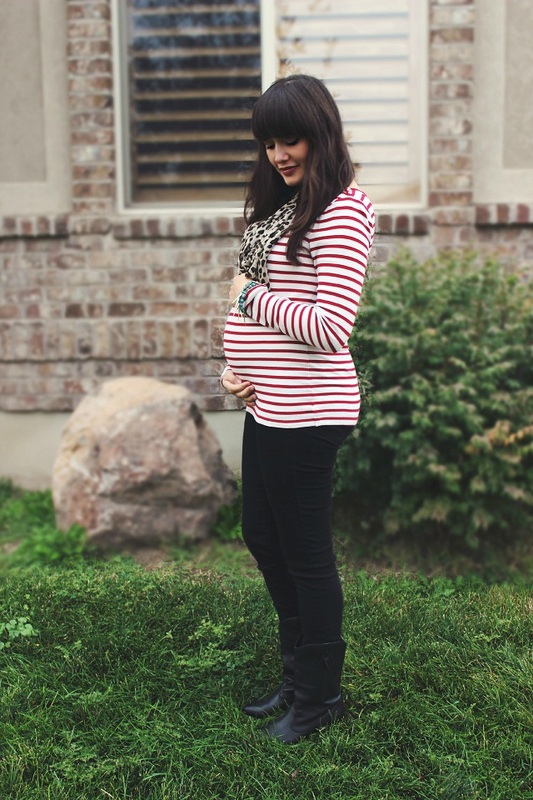 Holy cow, has it already been 29 weeks?!? It seems like just yesterday you announced your pregnancy! I'm so glad all is well and he's hangin' in there! very hard, difficult and painful days. you're looking fabulous! aw, you look so adorable! Such a sweet letter and girl your are a vision! 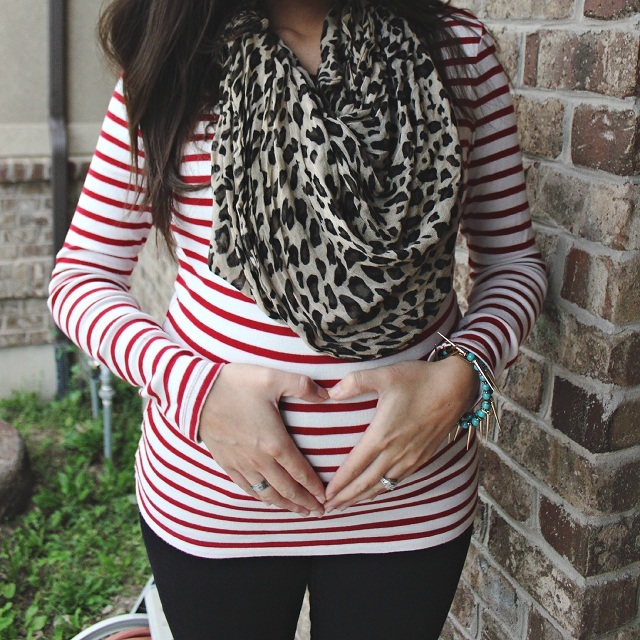 LOVE the stripes and leopard! just found your blog and am following you now! :) would love for you to check out mine! oh girl, congrats on the pregnancy. you look more beautiful than ever! hopefully one day i will look as great as you do in this lovely outfit - Carlmontpharmacy so beautiful!! 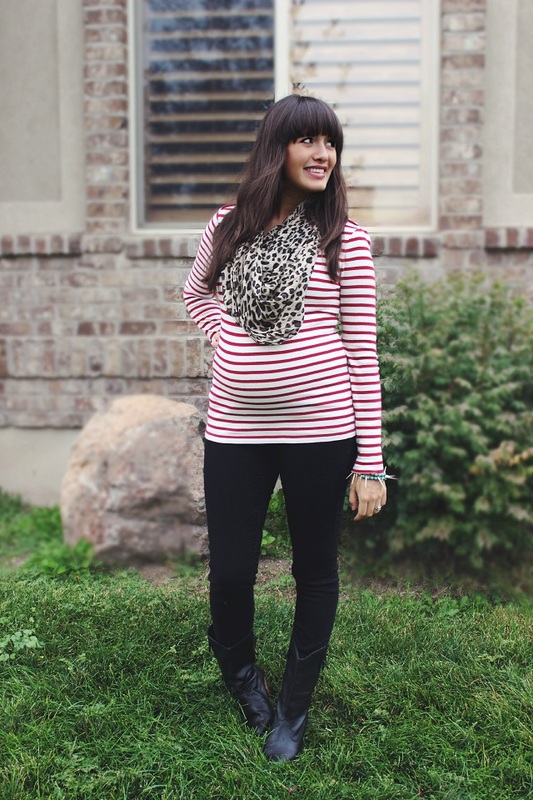 Cutest maternity look ever! You are getting closer every day!